Is your child ready for camp? Gauge your child’s readiness to attend overnight summer camp by answering these questions. Bob Ditter, child therapist and camp consultant, says that camp is “life experience with training wheels.” While not every answer has to be a resounding “YES! He can do that”, you should feel comfortable that he can do or is working on most of the skills in the questions below. Life long friends are made at camp! Are they up for an adventure? Do they have an interest in summer camp? If they have shown an interest or asked permission to go – you can take that as a strong sign they ready for camp! Have they successfully slept away from home? If the answer is yes, great! If no, you have the whole school year to start working on sleepovers and grandparent weekends. Can they bathe and shower on their own? They might need a helpful reminder to brush their teeth or use soap but in general, they should be able to get through a shower routine themselves. Camp will help teach your little adventurer to be self-reliant, but it helps to have a simple hygiene steps down first. Are they comfortable with new people? If they can open up to new people reasonably well then making friends at camp will be no problem. If they need a little help in this department, camps are geared towards facilitating camper friendships! Can they follow instructions? Do they follow rules and safety guidelines? Safety is important to parents and summer camps. Ask each camp you look at what safety guidelines they have in place. Are YOU ready to let them go? 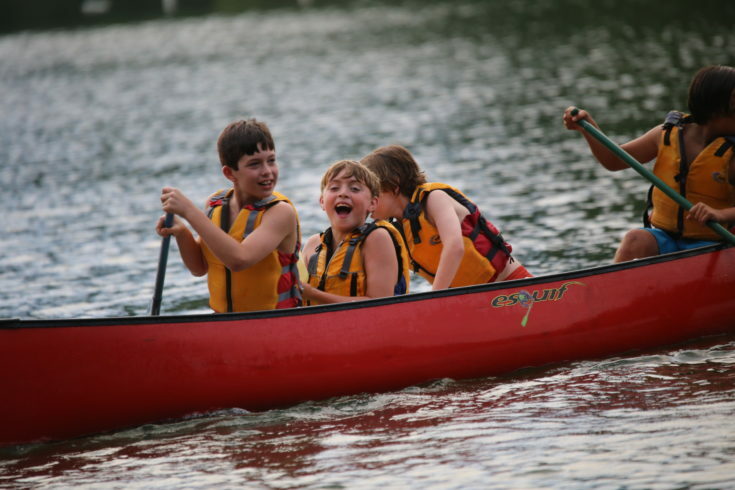 Read this article about “taking the plunge” and sending a child to camp. Think they are ready? Now you need to find the camp that fits your family. We hope Camp High Rocks can be that camp! Take a look at Camp High Rocks. 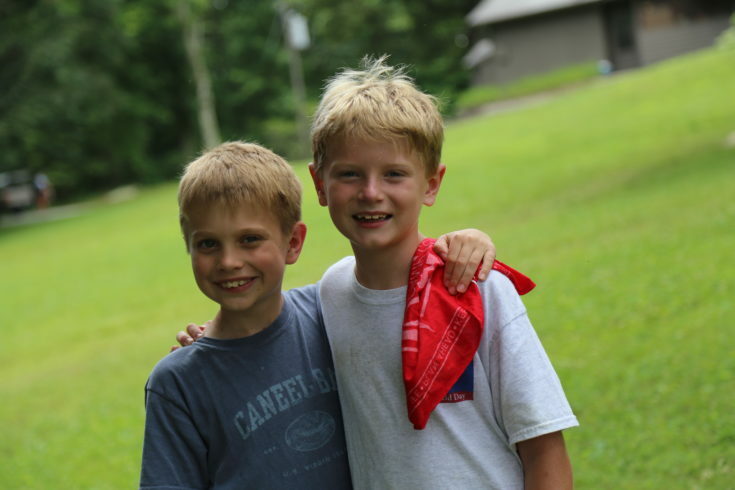 Camp High Rocks is summer camp for boys located in Brevard, North Carolina right outside of Asheville. High Rocks is a place for boys to have fun, build new friendships, and create a spark for adventure! Campers can choose from over 14 activities including paddling, rock climbing, mountain biking and horseback riding lessons. How to Know If Your Grade-Schooler Is Ready for Sleepaway Camp by Erica Patino, M.A.